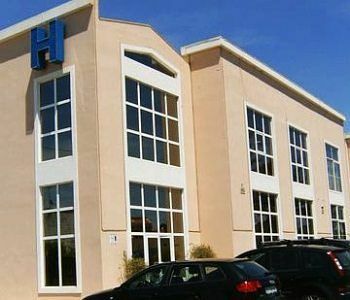 The Hospedaria Frangaria is a modern hotel complex, ideally located just three minutes from Portugal’s Faro Airport yet only six minutes from the city’s expansive sandy beach. 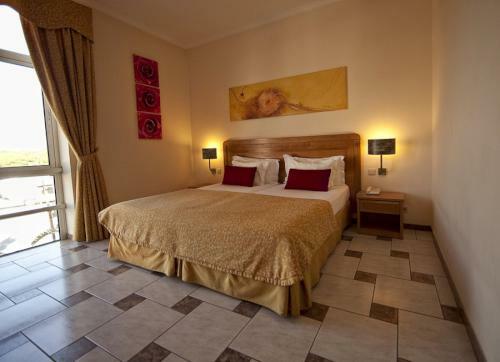 Newly built in 2004 the hotel offers a contemporary setting with plenty of amenities, making it suitable for business travellers and tourists alike. 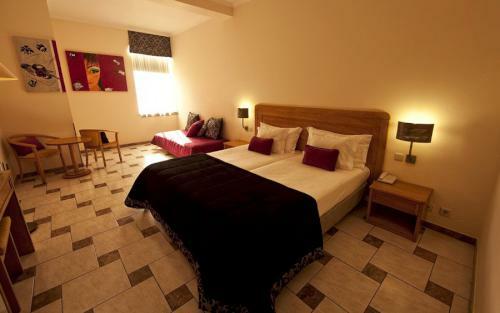 The rooms are spacious and comfortable and thoughtfully decorated in a functional yet welcoming style. 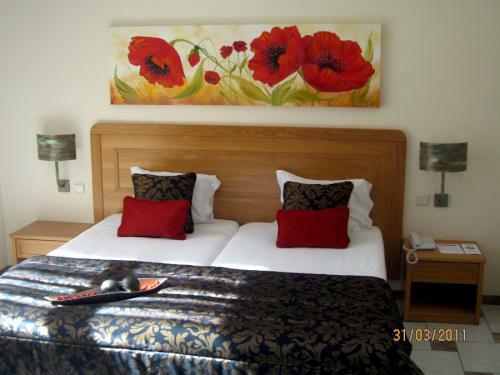 All rooms have private en-suite bathroom with double or twin beds and can accommodate a cot or additional bed on request. Hote and cold air conditioning ensure that the hotel is comfortable all year round, whatever the weather conditions, while in-room cable TV and telephone are on hand to help guests keep in touch. A comfortable public sitting room is available for guests wishing to hold business meetings or enjoy a change of scene and wireless Internet is available in the communal areas including the terrace. 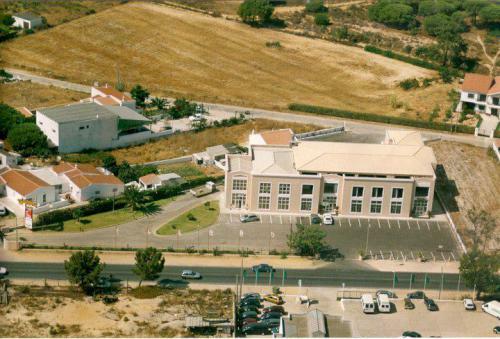 For guests arriving by car or hiring locally at the airport, there is plenty of car parking available at the Hospedaria Frangaria. 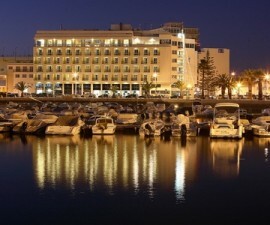 The hotel’s location close to both airport and beach make it the perfect location for a short stay in Portgual’s “southern capital”. Early morning departures are easy to manage without a long airport transfer and the a short overnight stop can be greatly enhanced by a visit to the local sandy beaches to relax and rest your weary traveller’s legs. Guests staying a little longer will be well placed to explore Faro’s old town and the surrounding area, including the famous Ria Formosa Natural Park, one of Portugal’s most famous natural attractions which is located just 4.5km from your door. The hotel offers a delightful and varied breakfast including fresh local fruits and pastries to set you up for a day of sightseeing, business meetings or beach fun. 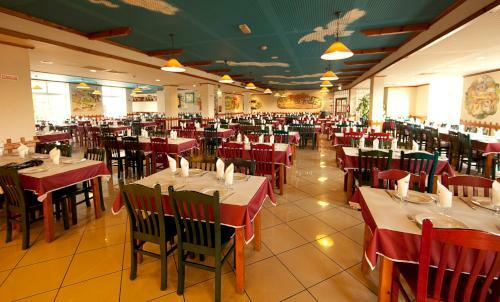 Lunch and evening meals can also be taken in the Frangaria restaurant located right next door, which offers good food at competitive rates from a menu that features a wide selection of local dishes. 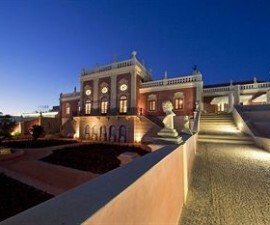 The Hospedaria Frangaria is the perfect base for a quick stop in Faro, be it for business or touristic purposes. 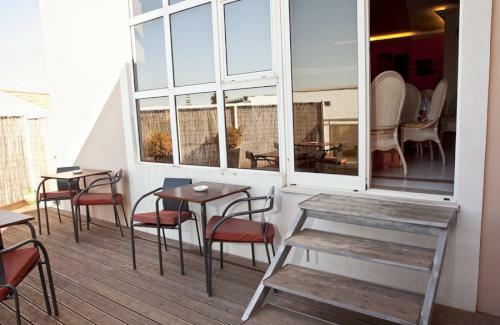 With its spacious rooms and good food, the hotel offers clean, comfortable accommodation and excellent value for money close to one of Portugal’s most engaging cities.